So much nostalgia in such a compact package! It may be small even by its own manufacturer\'s standards, but this 1973 MG Midget offers the promise of plenty of fun filled miles within its tiny confines and represents a bold take on what was already to many the quintessential sports car. Its compact exterior is clad in a maroon shade that provides it with an air of vitality and if you circle this classic, you\'ll see it has plenty to offer. 45 years have gone by since it rolled off the assembly line and while you can see evidence of its service during that time, this remains a very appealing sports car. 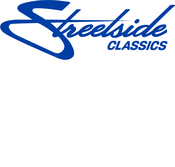 A black manual convertible top with a clear plastic rear window stands by to shield you from the elements and it\'s in sharp condition, showing little of the pressure point/wear marks you often see after repeated use. The bumpers both fore and aft sit level and sport no serious blemishes, but they, along with the assortment of exterior fittings, would benefit mightily from a trip to the refinisher. Regardless of which direction you take, the interior sports a few well-focused refurbishments and is already a pleasing period correct driving environment in its present state, though a few upgrades will make a dramatic difference here, too. The bucket seats are still looking good and have no noticeable tears on their black vinyl surfaces and the transmission is properly decked out with black carpeting and puts the low-profile shifter within easy reach of the driver. The factory-issued steering wheel sits on its column and the dash area just beyond it is in nice shape, with readable gauges in its instrument cluster and a fresh looking dash pad running across the top. The trunk area in back looks to be in good order and carries a full size spare inside. The engine compartment holds the 1275cc engine sitting at its center and is very much ready for action. It carries a pair of side draft carburetors and fires right up and runs smooth and is paired with a 4-speed manual transmission. Sitting as low to the ground as it does, this MG is adept at carving corners and its front disc brakes help bring its 13 stock wheels outfitted with Hercules Iron Man tires to dependable stops. 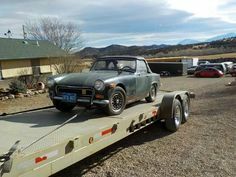 Standing by and ready to be transformed as you see fit, this 1973 MG Midget is a venerable bit of motoring history ready to begin its next chapter. Call today!